The holiday season is fast approaching -- and there's no doubt Santa is looking for some showstopping gifts that will really make a tot's face light up on Christmas morning. We're certain the Wishbone Mini-Flip, a three-in-one toy for little movers and shakers ages 10 months-3 years-old, will be a surefire hit. Read on to learn why the Mini-Flip is one of our favorite toys for tots. The Wishbone Mini-Flip packs quite a punch in its functionality, giving kids myriad ways to play and explore. 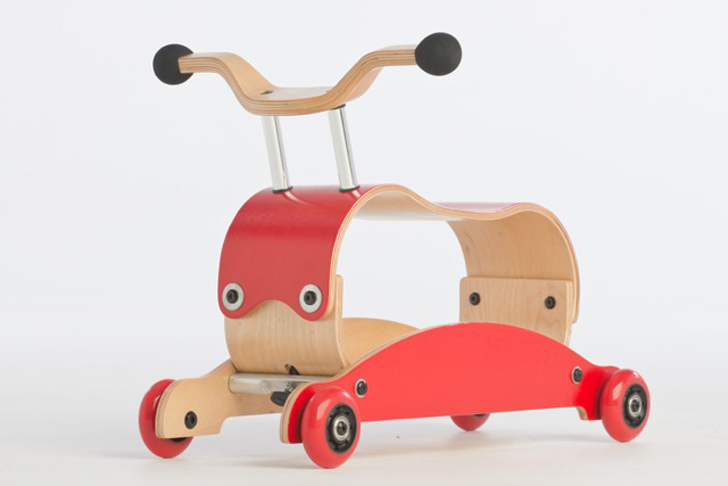 It's a ride-on toy, multi-functional push-toy/walker and rocker all-in-one! So the Mini-Flip will be a playroom staple all the way from baby's first steps to preschool. Wishbone Mini-Flip is a developmental toy that fosters baby’s growth by encouraging three motor skills that take baby from infancy to being a big kid: sitting upright, standing, and walking. The Mini-Flip has in-line wheels to provide stability when used by burgeoning walkers as a push-toy, and it can easily be flipped (hence the name) to a rocker or a rolling ride-on toy via an innovative flipping mechanism — a process that may be done in seconds and which requires no tools. Design-minded, green parents will appreciate that the heirloom-quality Mini-Flip is ethically and sustainably made and comprised of Birch plywood — and that the thoughtful design streamlines play and minimizes clutter, negating the need to purchase multiple toys. Affordably priced at $99, Wishbone’s Mini-Flip certainly tops our wish lists. Wishbone Mini-Flip is a developmental toy that fosters baby's growth by encouraging three motor skills that take baby from infancy to being a big kid: sitting upright, standing, and walking. The Mini-Flip has in-line wheels to provide stability when used by burgeoning walkers as a push-toy, and it can easily be flipped (hence the name) to a rocker or a rolling ride-on toy via an innovative flipping mechanism -- a process that may be done in seconds and which requires no tools. 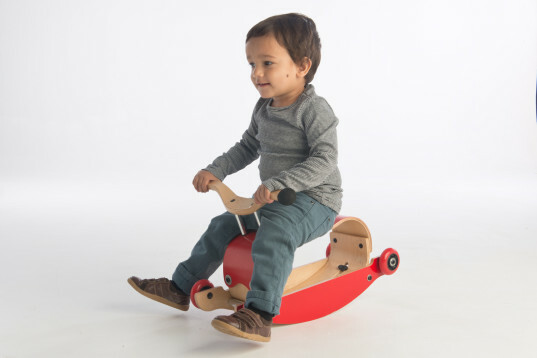 Design-minded, green parents will appreciate that the heirloom-quality Mini-Flip is ethically and sustainably made and comprised of Birch plywood -- and that the thoughtful design streamlines play and minimizes clutter, negating the need to purchase multiple toys. Affordably priced at $99, Wishbone's Mini-Flip certainly tops our wish lists.